Have you ever wondered about cell phone radiation? Have you ever fallen in love with an iPhone case just to realize it there is not front glass protector? Are you looking for a way to protect both yourself and your phone? Well, we have the perfect solution! The intelliARMOR iPhone Screen Protector is a safe, sleek, and smart selection proven to reduce radiation by up to 69%. We recently tried out intelliARMOR‘s anti-radiation screen protector on The Mister’s phone because his newest case is missing the front glass protector. To say we were impressed would be an understatement! Each kit includes a smart screen protector with an oleophobic coating perfect for a smudge-free anti-glare display), a microfiber cloth, a screen cleaning wipe, dust remover sticker, a tool for bubble-free placement, and a step-by-step guide to easily applying your new screen protector. The Mister has been using intelliARMOR’s anti-radiation screen protector for awhile now and he loves that it hasn’t affected the sensitivity of the touch-screen compared to similar products. The case he enjoys using also fits perfectly still thanks to intelliARMOR’s thin, light-weight, precision-cut design ensuring the perfect fit. The anti-glare coating has cut down on how difficult it is to read his phone while working in the elements and he now is less worried when his phone experiences drops. It’s a win-win! Want to try out the smarter screen protector for yourself? We’ve been given a special coupon code to share with all of our readers! 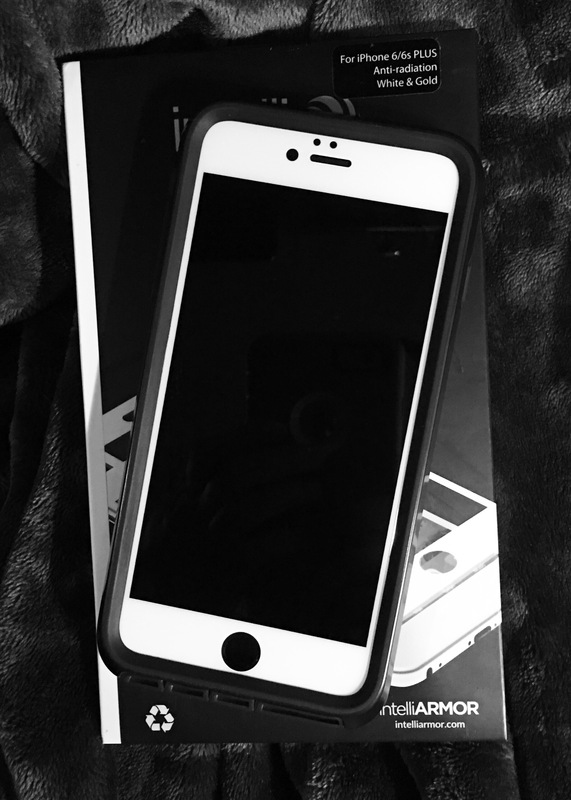 Order your intelliARMOR iPhone 6/6s or 6/6s Plus screen protector today using the code INTELLI20 and you’ll receive 20% off!